Grape Beauty & Skincare — WINEFARER INC.
Grapes, not only delicious to eat, are an up and coming secret weapon in skincare. Just ask the masterminds behind Caudalie. The extracts you can pull from grapes provide many different uses in transforming your skin from anti-wrinkling, moisturizing, spot treating and more. Many beauty and skincare lines have started to use and promote various grape extracts in their products not only because they work but because they provide an all-natural alternative to some of the chemical heavy anti-aging skincare lines on the market. And let’s be honest, the organic/natural skincare routine is very on trend for 2018. That being said, it’s only appropriate to compile a round-up of some of my fave beauty products featuring, you guessed it, grape extracts. I’ve also incorporated a nifty diagram that explains the ingredient, where it comes from and what it does to help translate when you see or hear those terms being used. 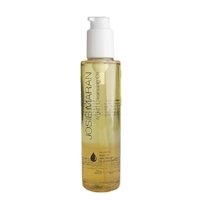 A remarkably energizing spritz that will pack your face with moisture. Love using post skincare routine and throughout the day for a pick-me-up! The organic grape ingredient is what makes this so moisturizing on your skin! I just started using this and love it. Living in NYC, we are exposed to the polluted air (just horrendous) every single day. This oil gives you a chance to detox the skin overnight and wake up seeing less lines than you did when you came home from work the night before. The grape seed oil ingredient nurtures and detoxifies your skin having you looking fresh in the morning. This is another great nighttime antioxidant serum for the face. They use 1% pure resveratrol mixed with two other antioxidant ingredients which makes this a powerhouse for waking up to firm and radiant skin! Cleaning oils seem to be the all the rage these days. I personally love this oil because it not only gets off all makeup, it leave my skins super soft and moisturized post wash. I wonder why? GRAPE SEED OIL! A great brightening, anti-aging, antioxidant moisturizer WITH SPF (very important). It’s a bit lightweight so great for summertime. So many benefits that could only mean one thing.. it’s formulated with grape! Don’t forget about those lips! 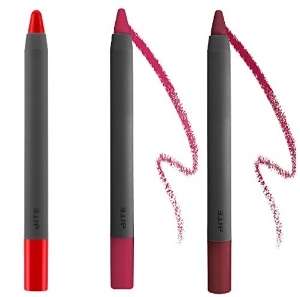 Not only does BITE have great color options they also know what’s up and include resveratrol to the mix of ingredients to detoxify and produce anti-aging benefits for the perfect pout.